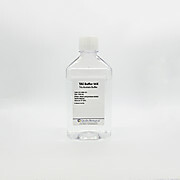 …as an electrophoresis running buffer for the separation of double-stranded DNA in agarose and polyacrylamide gels. 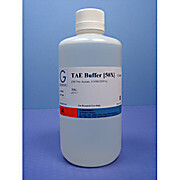 50x TAE Buffer is composed of 2 M Tris-Acetate, 0.05 M EDTA, pH 8.3. 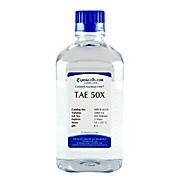 For agarose gel electrophoresis, 50x TAE Buffer should be diluted to a working concentration of 1x TAE or 0.5x TAE. 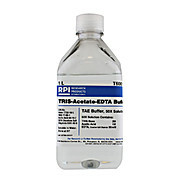 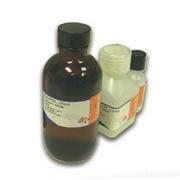 Tris-acetate EDTA stock solution (50X, pH 8.0) contains a concentrated solution of filtered Tris-acetate EDTA (TAE) buffer.